Outsourcing can greatly cut costs for a company. However, unlike large corporations, most small and mid-sized companies cannot set up offices overseas to take full advantage. Without direct access, how can you trust the quality and service claimed by a random overseas company? If you own a business, are you willing to risk your company with a total stranger in a different country with different mindset and cultural background? Leopard Microsystems LLC is your bridge to China resources. We are higly educated professionals with decades of cross cultural management experience in China and USA. We understand both cultures, know their subtle differences and know how to commingle them. Concentrating on turnkey and consignment PCB assembly and plastic injection molding with our family owned companies in China, we have provided our clients with high quality products and services, and established smooth international operation process. We are confident to gain your trust. We have established reliable business relationship with a factory specializing in interconnect devices. 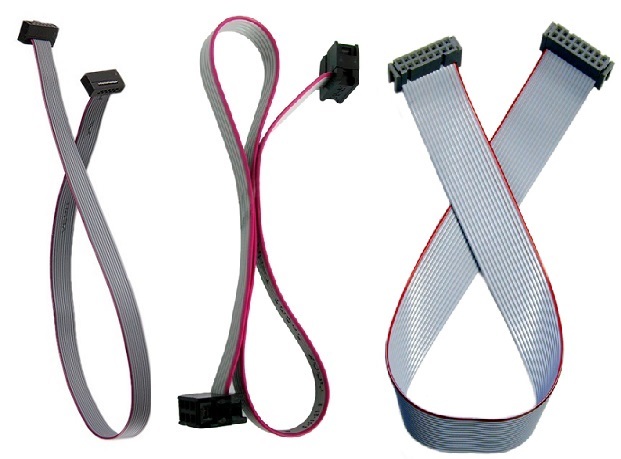 We can customize flat ribbon cable assembly to meet your needs. Whether it is 0.05" or 0.1" pitch, disconnect one or more positions, keyed or no-keyed, we can make it for you. We can customize connectors to meet your needs. Whether it is male or female, through hole or surface mount, keyed or no-keyed, we can make it for you. If you are looking for an overseas service that we don't currently offer, we can use our resources in China to gain access. We provide services for consignment and turnkey PCB assembly. We routinely produce high quality single and double sided SMT and Through-hole RoHS compliant boards. We have established relationship with a few PCB houses and know their capabilities and limits. We will determine which PCB house to use depending on the requirement and complexity of our client's PCB board to achieve best quality and cost savings. We can procure components both in the USA and China for best quality, availability and cost savings. We can even custom make certain interconnect devices to save more costs! Whether you need a handful of prototypes or large volume production, your satisfaction is guaranteed with us. Imagine bringing your product to life with an artistically designed professionally manufacturered plastic enclosure to your satisfaction! Better yet, the design is free of charge if we manufacture the molds for you! All it takes is just your conceptual sketch. Our family owned factory's convenient TsingTao Harbor access enables us to use economic sea freight shipment for large volume products, and sea/air combo freight shipment for medium volume for an impending deadline. We ship FedEx and UPS as well. We handle all import/export customs and duties, a true worry-free operation for our clients. Copyright © 2002-2018 Leopard Microsystems LLC, All Rights Reserved.